It’s no secret that time spent on outdoor and athletic activities has reached an all-time high, making sports glasses an absolutely critical component in the pursuit of excellence on the field, the court or the slopes. Glasses made for office and streetwear are no substitute for sports glasses. Unlike sports glasses, rather than providing protection, regular frames and eyeglass lenses that are not made of polycarbonate or other protective materials could actually lead to injury if they break or shatter, resulting in abrasions to the eye region, or even worse, to the eye itself. With more than 100,000 sports-related eye injuries in the United States each year, sports eyewear properly fitted to the client is more crucial than ever. Athletes, young and old, should start with a comprehensive eye exam to determine if correction is needed and if they have any pre-existing eye conditions. In most sports, precise vision is key to the development of a successful athlete. Vision experts agree that even slight imperfections in vision can have a profound effect on the success of the athlete’s game. Athletes should also consult with one of the qualified eye care experts at Optometric Cafe to determine which glasses or goggles are most appropriate for the sport they’ll be playing. Some sports require wrap-around styling to protect against impact injuries. Since many activities take place outside, athletes should also ensure their sports glasses provide full protection against UV rays. Whether the sport is baseball, snow skiing or boating, glare from the sun can actually cause a “sunburn” on the eye which could lead to long-term damage to the cornea. 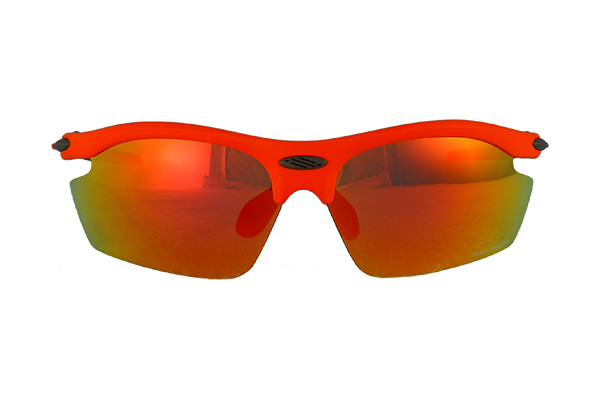 Tinting on the lenses can reduce glare and enhance the clarity of an object, such as a baseball or golf ball, giving the athlete an edge in even the brightest sunshine. Optometric Cafe is uniquely qualified to provide eye services that ensure precise corrective vision and proper protection on the playing field. And they offer a generous selection of styles appropriate to the chosen sport AND befitting the individual style of the athlete. 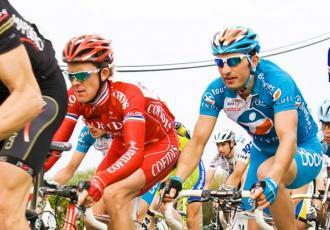 As do corrective glasses, sunglasses have to meet special requirements when worn for sports. 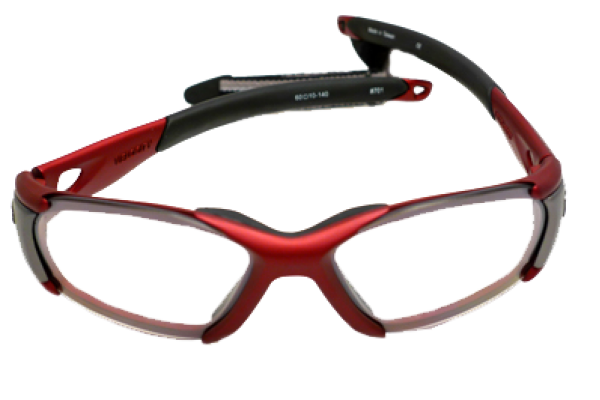 They need shatterproof and impact-resistant lenses; a strap or other fixing is typically used to keep glasses in place during sporting activities, and they have a nose cushion. For water sports, so-called water sunglasses (also: surf goggles or water eyewear) are specially adapted for use in turbulent water, such as the surf. In addition to the features for sports glasses, water sunglasses can have increased buoyancy to stop them from sinking should they come off, and they can have a vent or other method to eliminate fogging. 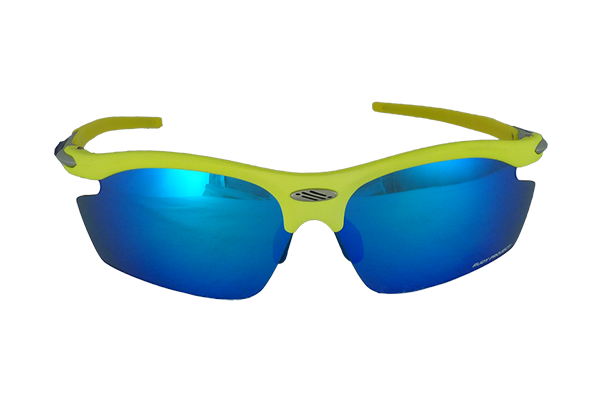 These sunglasses are used in water sports such as surfing, windsurfing, kiteboarding, wakeboarding, kayaking, jet skiing, bodyboarding, and water skiing. Mountain climbing or traveling across glaciers or snowfields requires above-average eye protection, because sunlight (including ultraviolet radiation) is more intense in higher altitudes, and snow and ice reflect additional light. Popular glasses for this use are a type called glacier glasses or glacier goggles. They typically have very dark round lenses and leather blinders at the sides, which protect the eyes by blocking the Sun’s rays around the edges of the lenses.